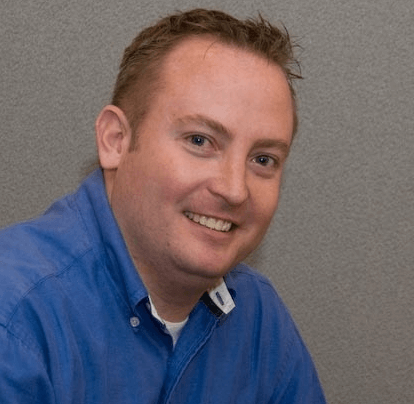 Jeremy Kartchner is a Partner at Snapp Conner PR and has more than 15 years experience in both technology and sports PR. In addition to his responsibilities with Snapp Conner PR, Kartchner also works with the Utah Jazz as a member of its Game Night public relations staff where he is responsible for tracking and providing game time statistics for local, national and international media and conducting pre and post game player and coach interviews. He’s a sports fan, golfer, father of three, husband to one hottie, partially bionic, cavity free, Olympics junkie and wanna be blogger. When I was in junior high school, I played in the band. There, I said it. I played in the band. I was a band geek or whatever other term you want to attach to being a member of the band. I played the saxophone. The word ‘played’ being used very loosely here. I could make noise with the saxophone, but I wasn’t very good. I’m tone deaf and can’t carry a tune or count the beat so my band and musical experience was much like my early teen years, awkward. My band teacher, Mr. Lloyd was incredibly talented. He could play every instrument well and even though we were an unruly bunch, he found a way to make the 50-60 or so of us meld together to sound respectable. I’ll never forget the first day of band class in the seventh grade. Mr. Lloyd compared playing an instrument, regardless of the instrument, to the Karate Kid movies that were popular at the time. 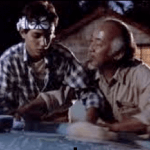 In the Karate Kid, Mr. Miyagi made a deal with Daniel LaRusso that he would teach him karate only if Daniel would do everything he asked him to do without questioning why. Daniel agreed and then Mr. Miyagi proceeded to have Daniel perform a series of tasks that, at first glance, appeared as if he was simply having Daniel perform a series of home improvement projects for him. After the fourth project Daniel had had enough and complained to Mr. Miyagi about the projects. He questioned when they were going to start training and working on karate. Mr. Miyagi then proceeded to demonstrate to Daniel how the projects he asked him to do related to and were training him in the proper ways of karate. Daniel was taken aback and from that point on developed a new level of trust with Mr. Miyagi. 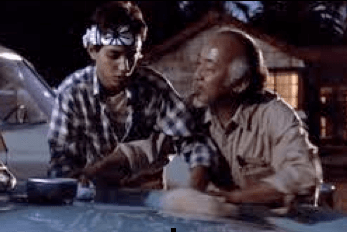 He also learned and was able to apply the principles Mr. Miyagi was teaching to his karate skills. Similarly, in seventh grade band class, Mr. Lloyd taught my classmates and I how to play our instruments. We didn’t walk in and within the first week become experts or master our instruments. Some learned and played better than others. Before we new it, we were playing actual songs and performing at concerts in front of the school. In my experience, the same principles apply to public relations. Years ago, when I would talk to potential new clients about PR services and the benefits PR can offer, one of the most common responses I’d get was that the company wanted to be on Oprah’s couch. My next question was always why? The potential client would generally have an explanation, usually tied into the fact that if you were part of Oprah’s favorite things episode you’d have it made in the shade and be guaranteed success. From there I would help the client assess if the company or its product was even a fit for Oprah and, if it was, I’d explain that to get on the Oprah show was a process. I see all the time, new clients that think just because they’ve signed an agreement to allow us to represent them that they can just sit back and watch the results and coverage roll in. While we’re good, we’re not that good. Nobody is. Public relations is an investment. A business invests in a PR agency and the agency invests its time and expertise into helping the client establish its short and long term goals, develop a strategy to achieve these goals and then execute on the strategy and secure the media interviews and reliable third party endorsements through print and broadcast pieces. In most cases, there is a lot of behind the scenes work to be conducted by a PR team to ensure that an article is accurate and favorable by the time it’s actually published. Editors want to be accurate and fact-check. A good PR team will work with these editors to make sure they are getting all the information the editor needs. PR is a process. The fruits of the labors are wonderful and hugely beneficial. It’s hard to wait. Sometimes it seems like waiting for Christmas to come, but when done properly, a positive article or PR win is well worth the wait.